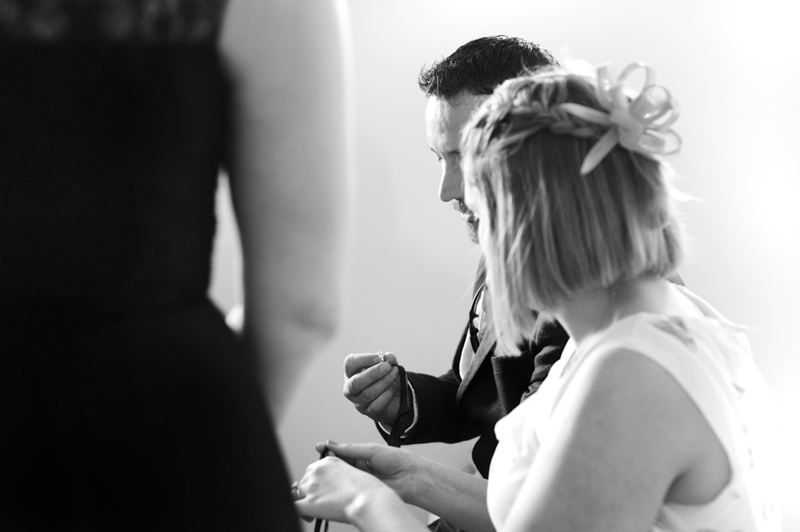 Anna & Calum and I met a couple of times before the wedding day to talk about ideas, get to know each other and also to visit the venue together. 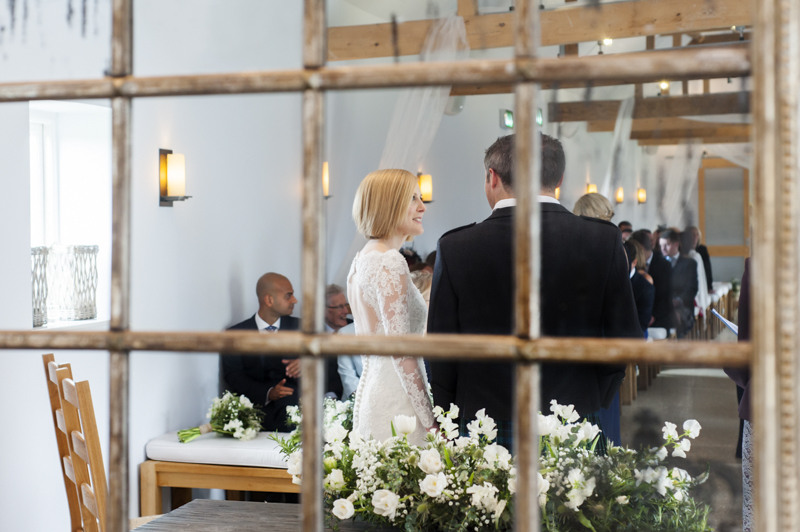 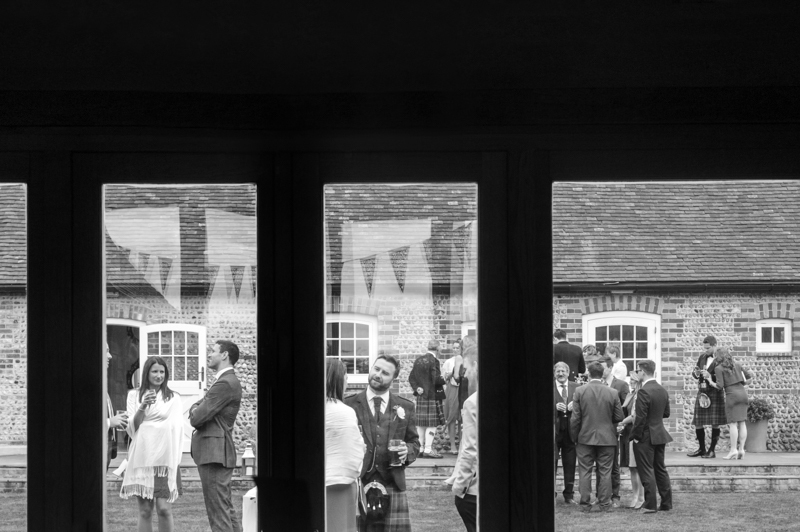 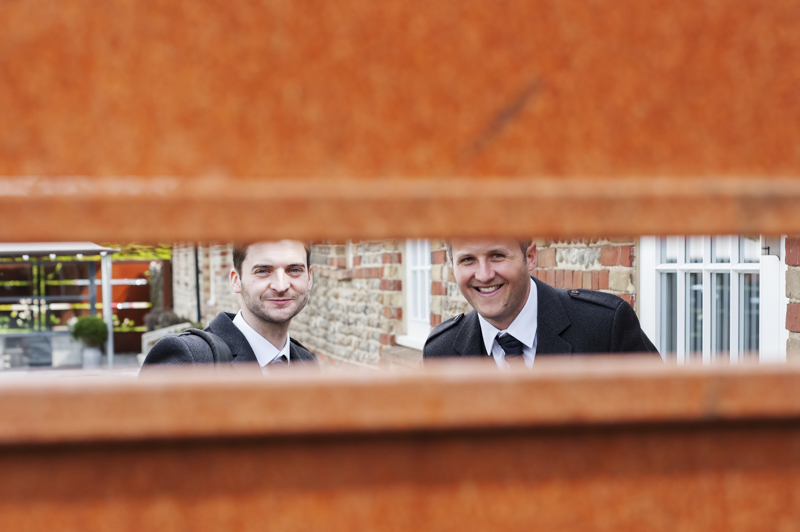 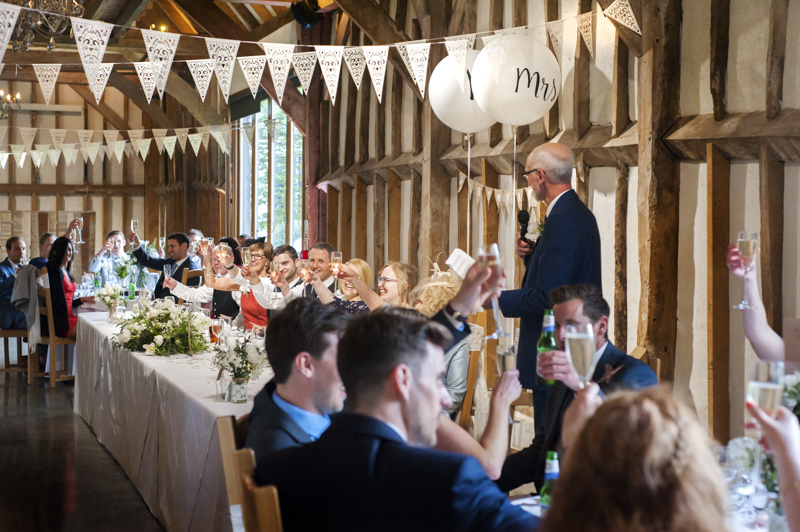 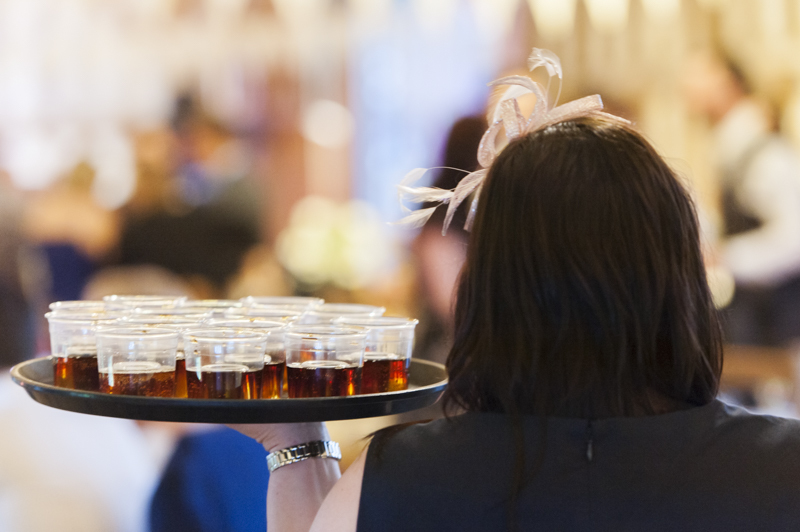 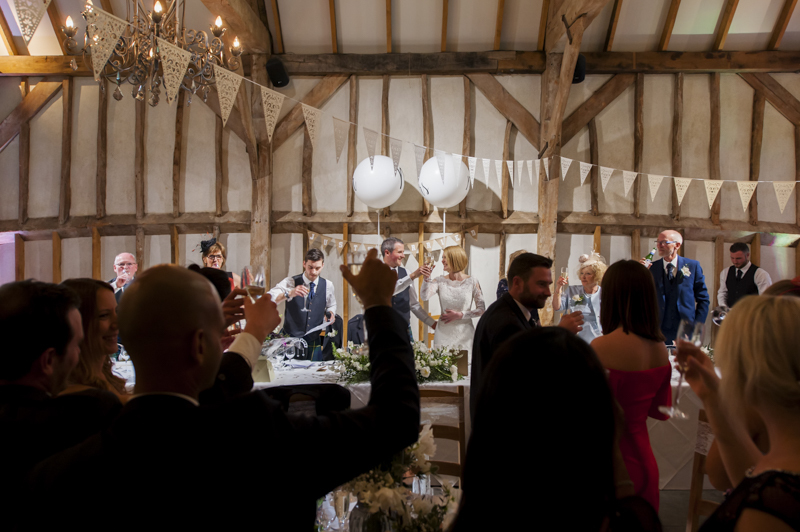 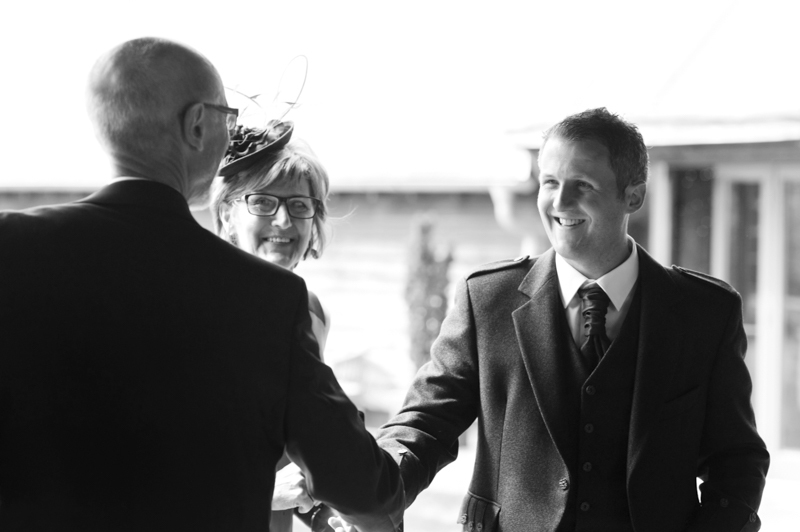 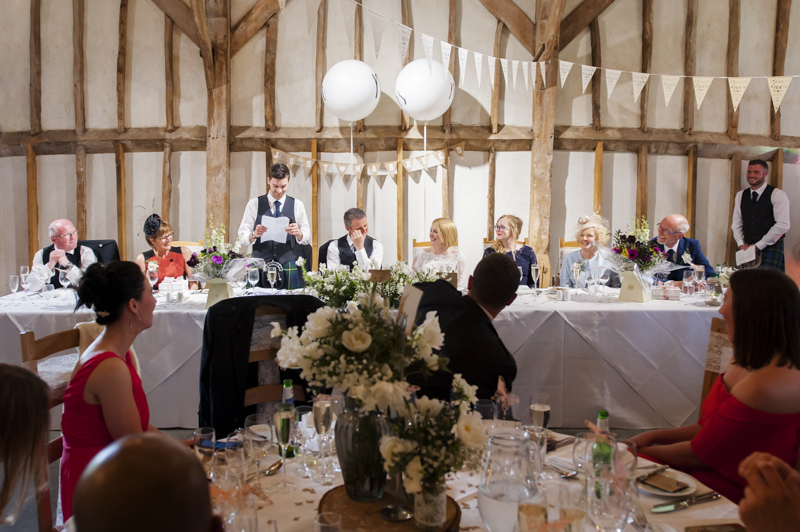 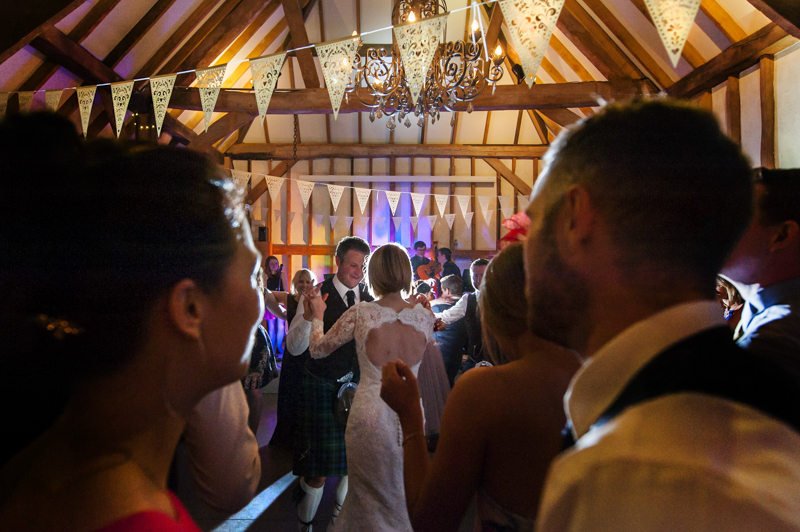 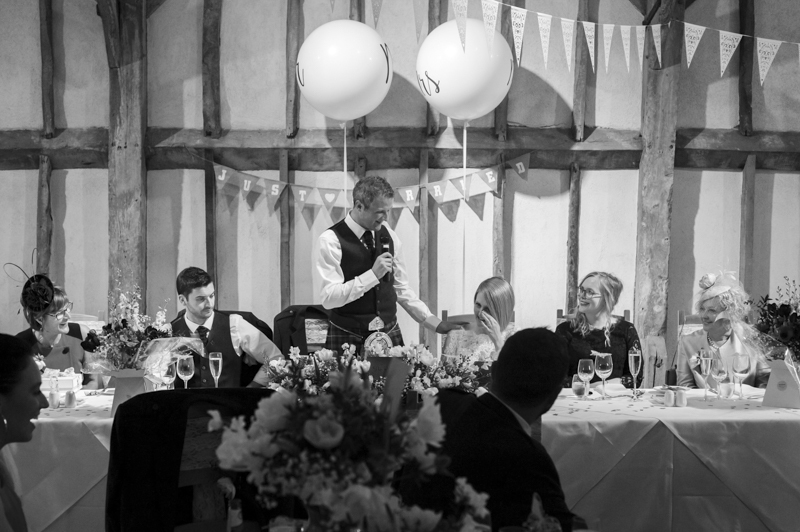 Southend Barns is popular and picturesque – the venue buildings are close together and surround a beautiful lawn which creates the perfect space for guests to mingle. 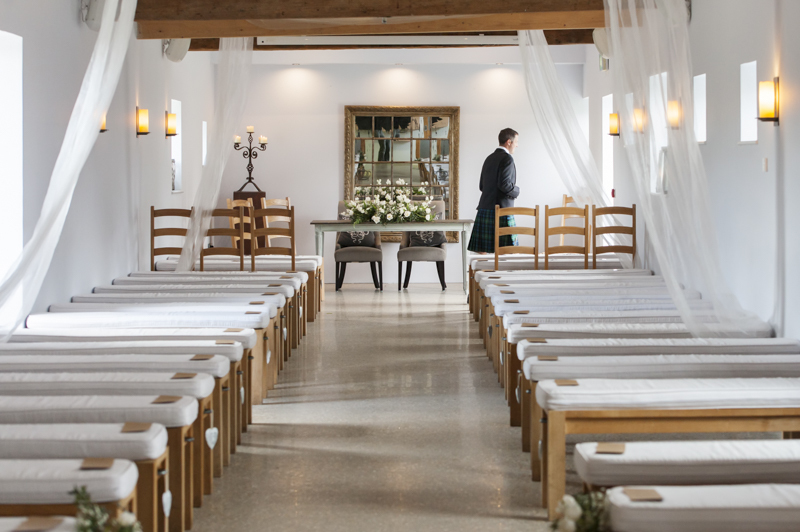 One benefit of visiting a venue before the day is to generate ideas for possible shots. 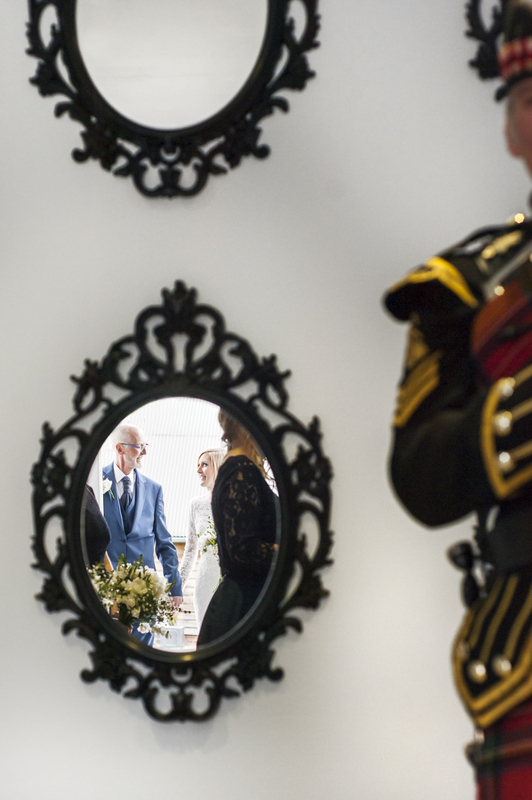 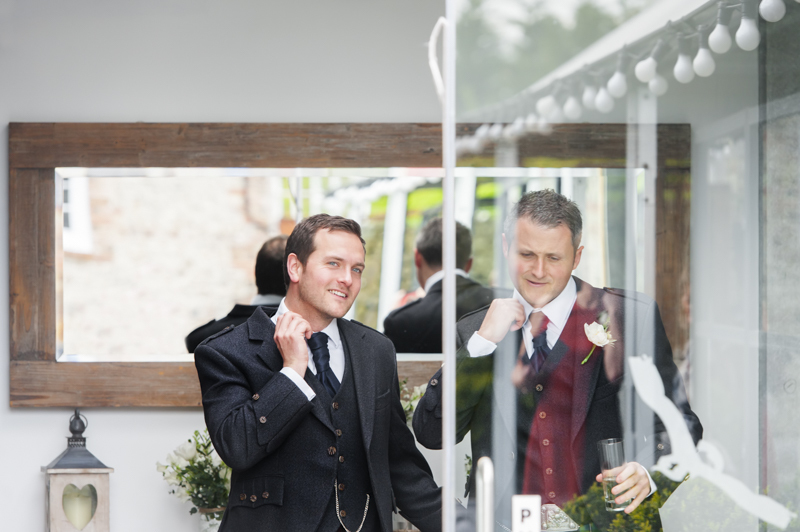 A set of mirrors in the entrance to the ceremony room caught my eye and I got a rough idea of how I might use them. 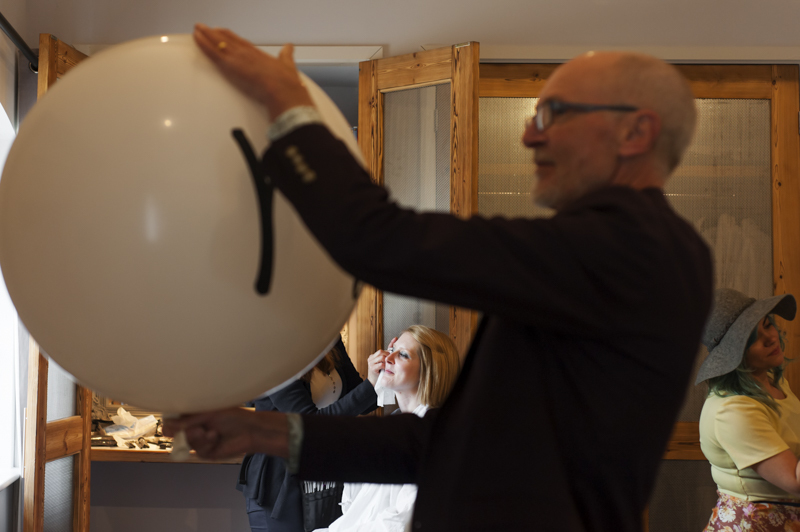 I arrived in the morning to photograph Anna’s preparations which included her father’s job of inflating a couple of Mr and Mrs balloons – carefully and rather comically making sure they were the same size! 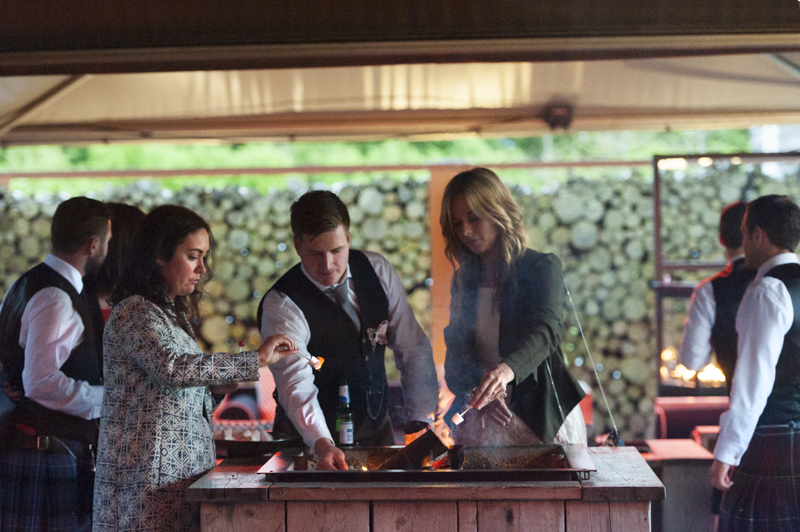 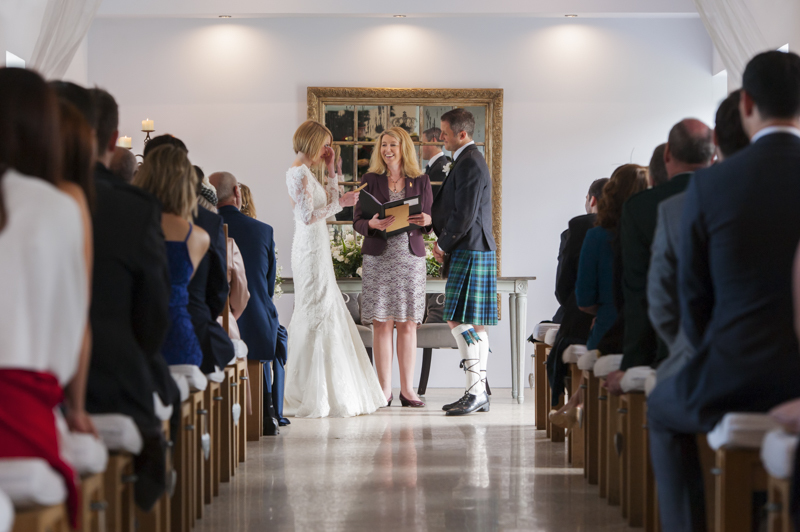 The couple chose a humanist ceremony which involves the rings being passed between all the guests to be blessed. 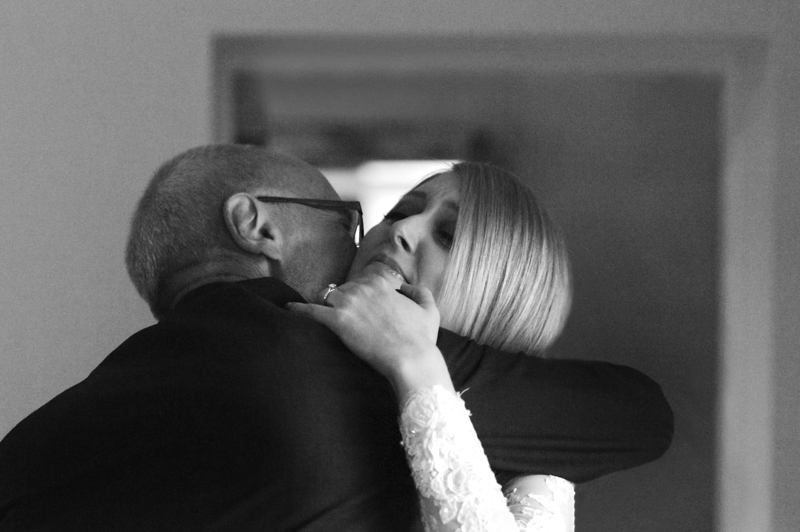 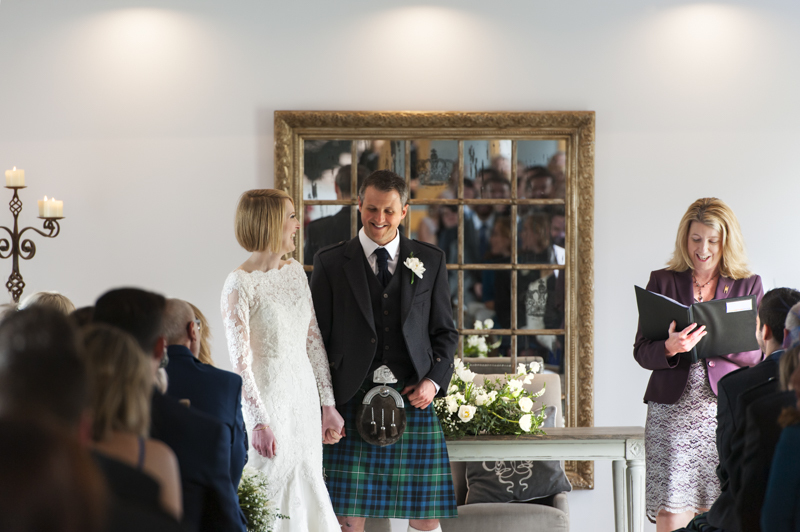 Their vows were very emotional and even had the venue staff teary eyed! 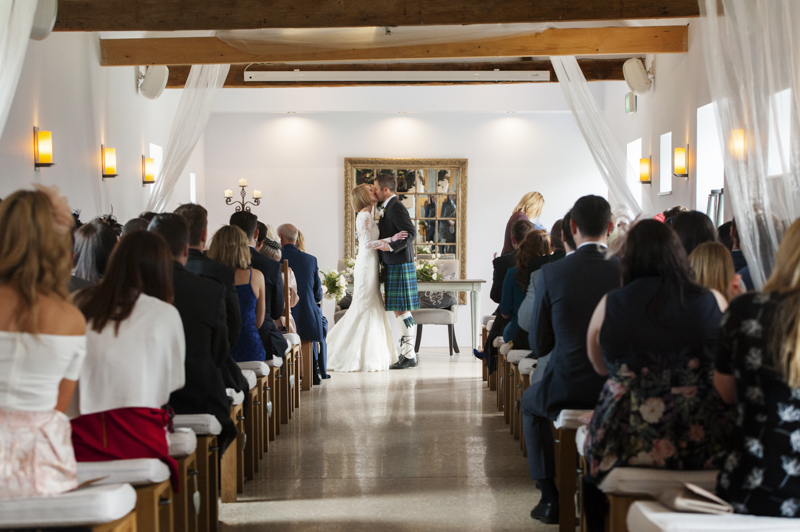 Following the ceremony, everyone had some time to relax with a drink and Anna and Calum ducked out for a few minutes as they wanted a few photos of just the two of them. 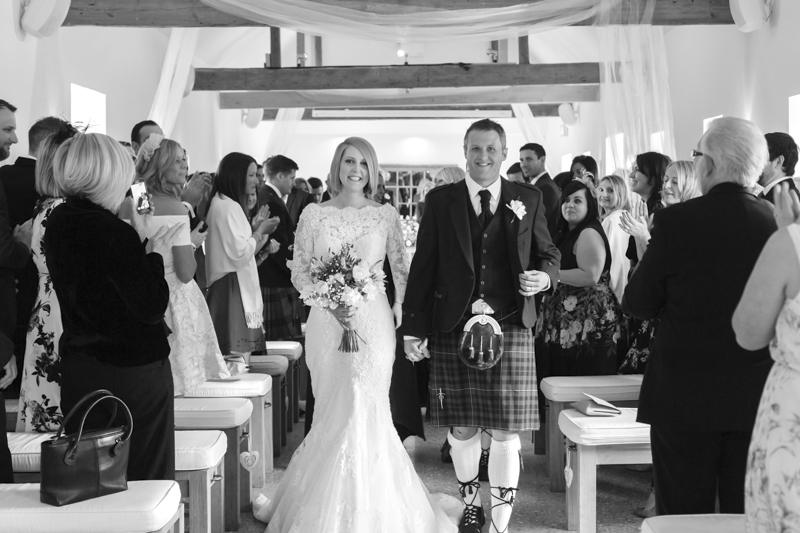 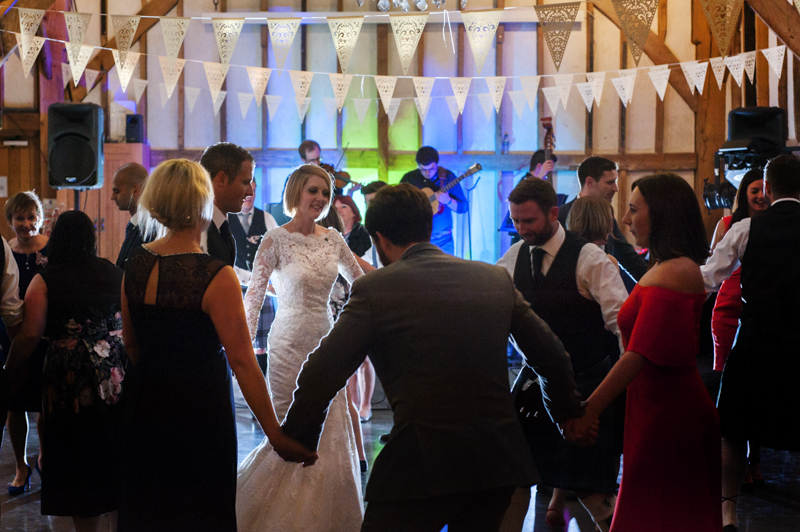 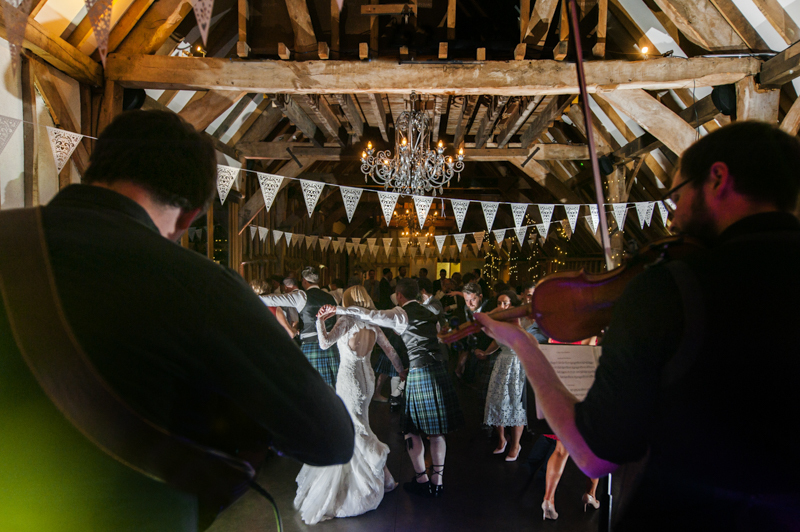 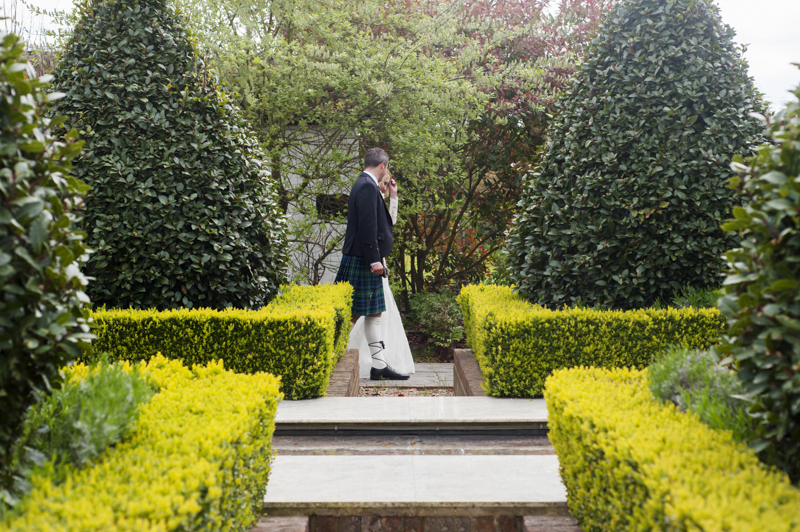 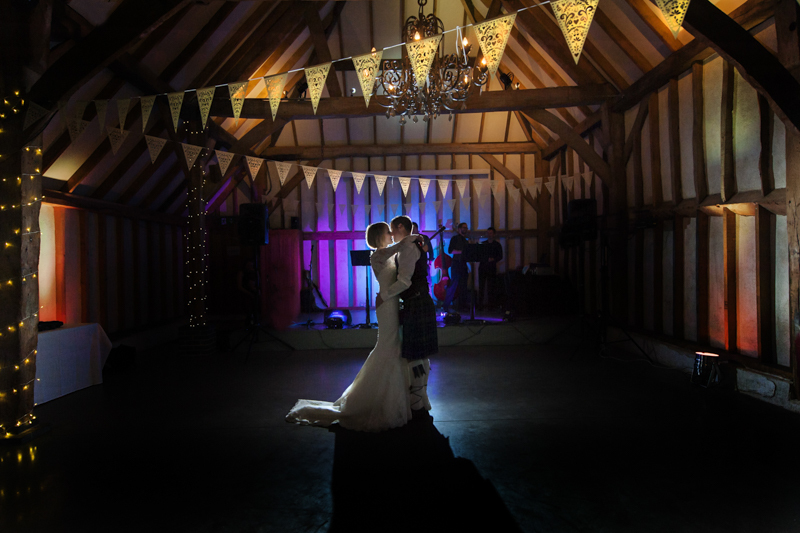 They decided to have their speeches before the wedding breakfast and following that, their first dance and ceilidh. 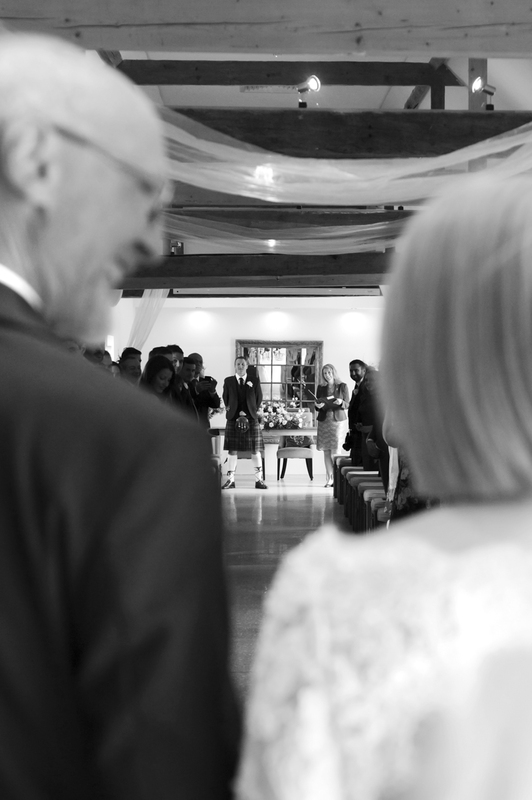 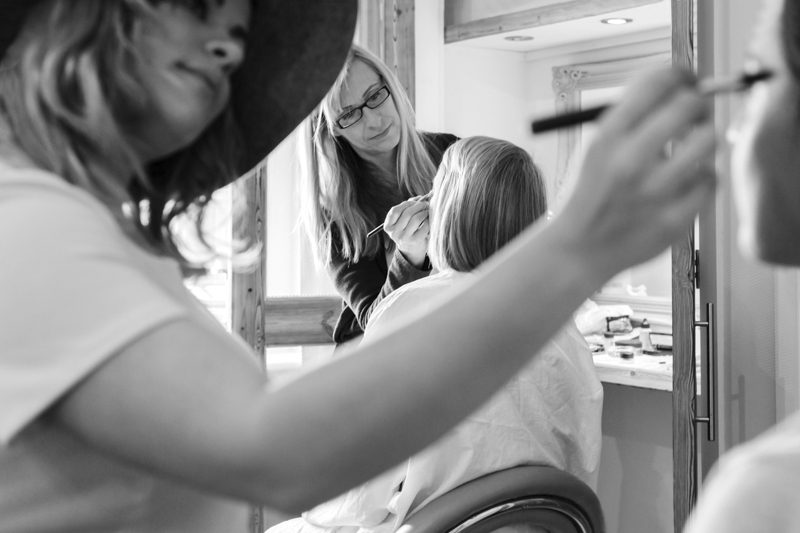 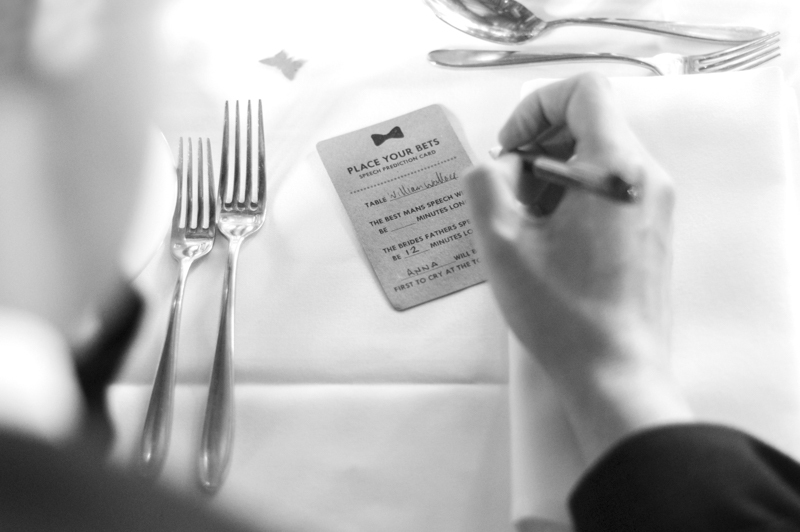 It was a fabulous day – everything came together perfectly.